The Handiest Tool to have! Replacing the Gimbal Ring is difficult and time consuming. 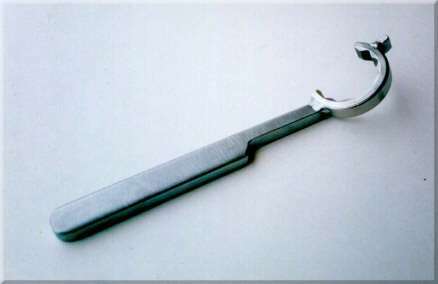 Requiring a hammer and punch to access the ring. Normally this procedure takes HOURS to complete the job. 10 minutes and you're done! The Gimbal Wrench. Cost effective. Time Smart! NEW UPDATED VIDEO OF THE GIMBAL WRENCH COMING SOON! PLEASE CHECK BACK! 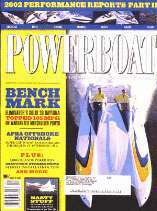 Click photo at right to read what Power Boat says about the GHR Wrench! See the GHR Wrench at work! New!! The GHRKIT is now available by special order for Yamaha & OMC Outdrives! Please call us at 407-925-4474 for Pricing. WATCH THE GIMBAL WRENCH - How to Video!